I have struggled with bad skin for many years now. When I hit puberty my face turned into an oil slick almost overnight, and no product seemed to clear up the vast amounts of acne that plagued my face. Around when I turned 18, however, all the oil just seemed to stop, and my skin became incredibly dry, while the acne remained! I also developed mild excema, which tends to erupt around my mouth whenever I’m stressed. I have tried numerous products, higher and lower end, but I still struggle with it today. However, I remain hopeful! Keeping that in mind, I have been using Shiseido’s Ibuki range for the last three months, and thought that I’d give my honest opinion, coming from a dry, acne-prone perspective. 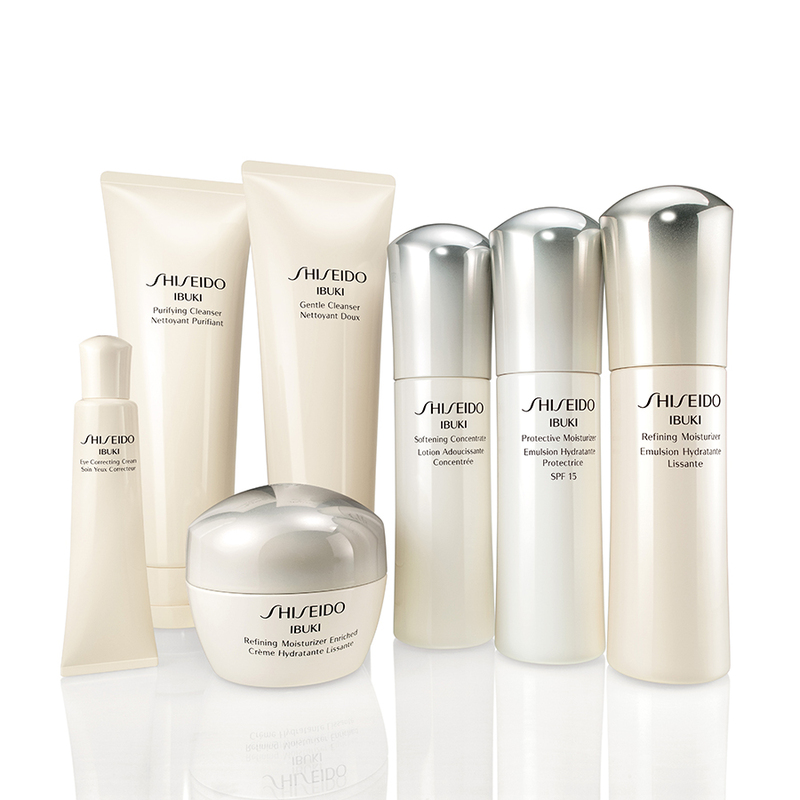 Shiseido was formed in Tokyo, Japan, in 1872 by Arinobu Fukuhara. Since its founding, Shiseido has always stood by three ideals: offering a pure, holistic experience of beauty; using cutting edge science to provide the very best products on the market; and Omotenashi, or the spirit of hospitality that comes from thoughtfulness and dedication to building relationships. The Ibuki range has been advertised as the range that will give you ‘ready for anything’ skin. It promises to build skin’s resistance to UV rays and provide skin with long-lasting moisture to protect it from dryness and daily stress. By returning skin to its optimal, super-hydrated state, Ibuki claims that skin will then be able to maintain its full, healthy, youthful look. There are a number of steps in the regime. I chose the ones that best suited me: the Gentle Cleanser, Softening Concentrate, Refining Moisturiser, and the Refining Enriched Moisturiser. I used the Pureness Deep Cleansing Foam once a week for a deep clean,the Ultimune Power Infusing Concentrate for a serum, and the Pureness Blemish Clearing Gel on my acne, all of which I will review in separate posts. So here we go! I’ll review each Ibuki product step by step, and then give an overview at the end. 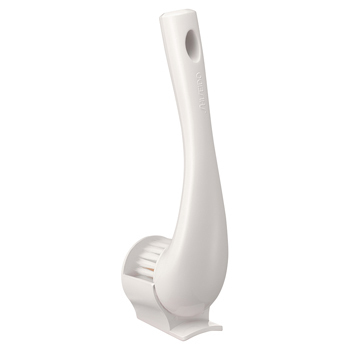 I used the Gentle Cleanser morning and night, using the Cleansing Massage Brush (reviewed below). It comes in a handy squeeze bottle, which is fine for the bathroom. This cleanser foams up beautifully with only a tiny blob of product, with fine and lush bubbles. It has a very silky feel, and once washed off, my skin feels clean and smooth. It’s quite fun to use, particularly with the brush! It has the same floral scent that the entire Ibuki range shares, but in the cleanser it is quite delicate. I do find that I have to cleanse my face right before I leave the shower, as it does dry out my skin a bit, and my face can get a bit tight if I faff around doing other things before I moisturise. This product is aimed at people with normal to dry skin, so just keep that in mind if your skin tends to fall more on the dry side! This moisturiser claims to do a whole host of things: renew the skin’s surface, reduce pores, heal and prevent blemishes and skin roughness, improve skin texture, and provide superior hydration. That’s a big claim! It comes in the same pump bottle as the Softener, which is hygenic and just nice for consistency’s sake. I like that it has SPF, although it is quite low (SPF 15). It feels more like a lotion or emulsion than a traditional moisturiser, which I thought was quite unusual when I first started using it. The milky, runny texture feels a touch too sheer for my skin type, although it is good for the day. The scent is strongest in this moisturiser (the scent is strong with this one…), which while floral, borders on the chemical. I have to apply a few layers of this to feel comfortable, which has made me go through the product a bit faster than I would have liked. This is probably my least favourite of the line, just because it doesn’t offer the moisture that I need. But I think it would be perfect for someone with normal skin. I see this as the night time version of the Refining Moisturiser: it is heavier and richer than its relative, and takes a little longer to fully absorb. 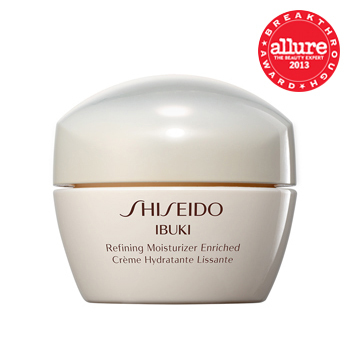 Shiseido claims that it intensively corrects the appearance of pores, blemishes, and roughness, improves the skin’s texture, and provides superior hydration: all the same as the normal Refining Moisturiser, the only difference being ‘intensively’! It comes in a large pot with a small spatula. I’m really not a fan of this. I don’t think it’s as hygenic as the pump bottles, and even though the spatula means you don’t have to dip your fingers in there, there’s no good way to store the spatula itself. So it just sits in my medicine cabinet with all my other stuff, probably collecting dust and germs when I’m not using it. I’m not scared of germs, but with acne you need to be careful to avoid spreading them around, lest you wake up with acne in a new spot! Although it’s heavy, it doesn’t leave an oily residue like you might expect. Once it settles in, it leaves my skin feeling smooth and plump. This is my favourite moisturiser of the two, although I do think it’s a bit too heavy for day time use. This brush is sooooo soft. Seriously, it feels like the bristles are made of silk! There are little rubber bristles interspersed with the normal bristles, which help to massage your face while you cleanse. I genuinely think that this cleans the gunk out of my pores way better than my hands ever could, as well as having a very gentle exfoliating effect. It also makes product go a lot further: I only use the tiniest blob of cleanser with this and I get a whole handful of bubbles! Personally, while I enjoyed using the products, I did not notice much difference in my skin. My pores are less visible and my texture has improved, but my acne is still as it was before, and my pimples hang around for just as long. I also didn’t notice any difference in my fine lines, which you would think a product that emphasises its hydrating qualities would help with. However, I will be repurchasing the softener, as I found that it really helped my moisturiser to penetrate into my skin. I ran out of it before I ran out of the other products, and really noticed the difference! Overall, this range is a good, basic line. I think it would be best suited to someone with normal to dry skin, but not super dry skin like mine. Obviously this is not a suitable product for people with sensitive skin either, as the chemical scent will just irritate you beyond belief. It does do its job, by cleansing and moisturising the face, but I think that it would better suit a person with no real issues with their skin and is just looking for a simple range to maintain rather than treat. I hope you all enjoyed this post! 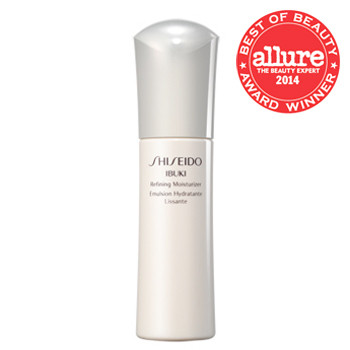 I will follow this up with reviews of the other Shiseido products I have been using. Has anyone been using this line or other lines from Shiseido? Let me know in the comments what you thought! I’ve tried the Ibuki Trial Kit, but sadly it didn’t work for me 😦 I guess the softener & moisturizer (the normal one without spf) together was too much for my combination/acne prone skin, but I adore the Gentle Cleanser!